Hey everybody ! It's finally time to announce the winner of the SunglassesShop VOGUE giveaway on Fashion and Cookies !. The winner, selected randomly with Rafflecopter, is Paula Lemos, I checked and she completed all the compulsory tasks and also other tasks ! 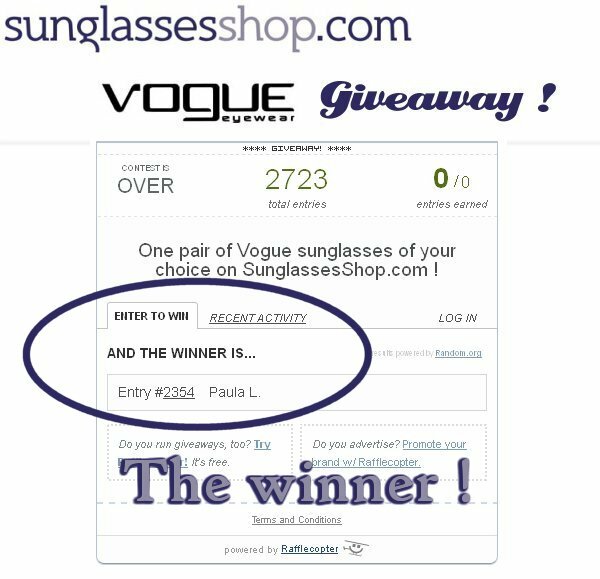 Congratulations Paula, please let me know the VOGUE sunglasses of your choice among the ones you find on SunglassesShop so that I can give them your contacts and your pick, they will contact you directly to send you the pair of sunglasses !. I wanna thank SunglassesShop for sponsoring this amazing giveaway, they have an amazing service and if you wanna read a review of the website check out my post wearing my new cat eye sunglasses from SunglassesShop !. I wanna thank all of you for taking part in this giveaway, and if you didn't win just try again in a new giveaway that is gonna start soon ;) !. Felicidades a la ganadora y que las disfrute. Un premio magnifico. 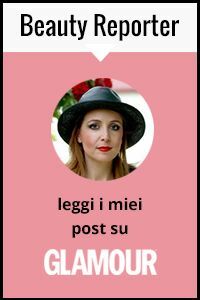 Buona serata a te e alla fortunata vincitrice! !